A witty surreal all-ages manga which revolves around the day-to-day lives of the young inhabitants of Tokisadame-city. Set in a strange school where you may see the principal wrestle a deer or a robot’s arm hide a rollcake the days that transpire through the course of Nichijou are curious and hilarious, if not downright bizzare. However admist all the chaos and comedy Arawi still takes time to share everyday slice of life stories giving readers an insight to modern Japanese youth culture. 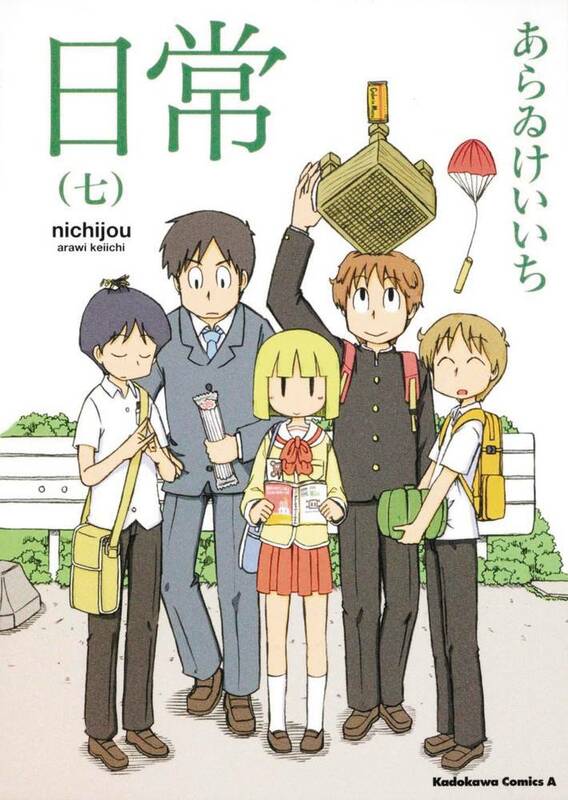 Funny and heartwarming, Nichijou is a humorous look at modern day Japanese life in comic form.